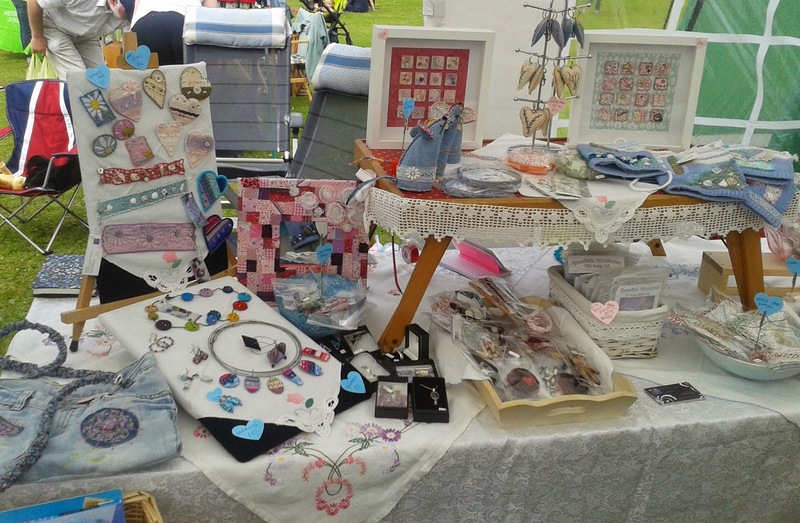 I had a stall at Sale on the Green at Charlestown in Limekilns. 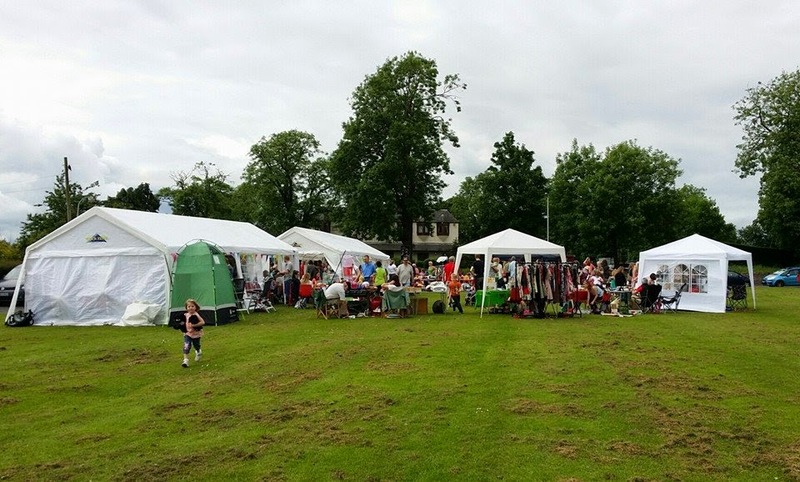 A lovely day was had by all ! My stall at the end of the day! I got some lovely feedback on my new work, my Embroidered Bags and Pincushion Mice were very popular as was my French Map Bunting, Embroidered Pendants and Bookmarks. I'm enjoying some studio time again and My Etsy shop has been re-stocked ! 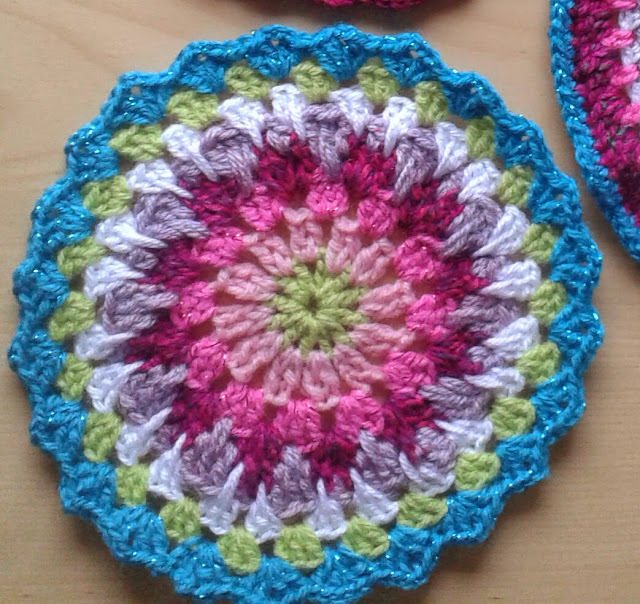 I've been enjoying some colourful crochet time. 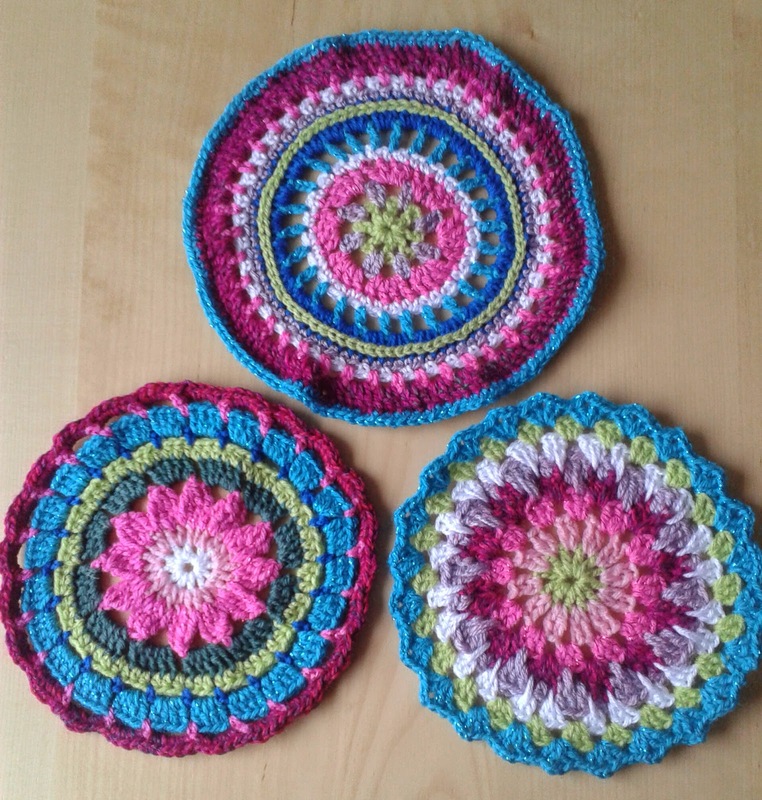 Have stiched 3 Mandalas. 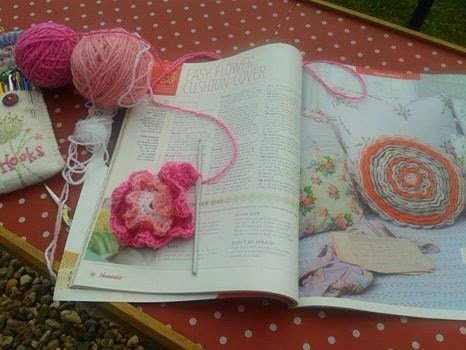 The bottom picture is a close up of the one Im sending off to Lucy at Attic 24 blog for the Yarndale 2014 project.